When One is Sick, Two Need Help. Spousal caregiving is defined as a spouse who provides the majority of care and support for an ill partner for any length of time exceeding a few months. Because this is generally a financially uncompensated (unpaid) role, it is categorized under the term informal caregiving. Spousal caregiving is a difficult thing to recognize or support within the community, as it is often done quietly and in private. Spousal caregiving saves our society a great deal of resources, especially money. Despite how it helps keep health care costs lower for everyone, all too often it is unsupported by the community. After examining some statistics and identifying several important issues, I will set forth some ways that communities can provide more assistance. What is informal caregiving? Informal caregiving is the term used to define the unpaid support and help given by friends and family members to people who are either temporarily or permanently unable to function independently. Caregiving is best described as the process of providing support to another person that involves a wide range of activities. This can range from emotional support to direct assistance with personal hygiene. Informal caregivers are rarely paid for what they do and generally have no training that helps them learn how (LA Health, 2010). An estimated 40 million American over 18 years of age have provided unpaid care to another adult in the preceding year. Informal caregivers now provide 80% of the long term care in this country. When considering the financial value this care provides as a component of the larger picture of health care in this country, it is important to consider this one simple fact: During 2007, informal caregivers provided $375 billion or approximately 2.7% of the U.S. Gross Domestic Product (GDP) at no direct cost to society or health care insurers. That amount exceeds the money spent by federal Medicare and state Medicaid programs combined. The increase in informal caregiving is being driven by shorter hospital stays and increased usage of outpatient procedures, both of which are changes being made in this country’s health care system designed to increase profits for health care providers and insurers (LA Health, 2010). In 2007, the Los Angeles County Health department surveyed adult caregivers. They found that 16% of adults reported themselves as being informal caregivers. Most informal caregivers are between 50 and 59 years old (21.3%), and one-third of all care-receivers live with their caregiver (33.2%). Nearly one out of every ten caregivers are caring for their spouse or partner (9.8%). Almost half of caregivers reported that the person they are caring for depended on them for assistance with two or more of the following activities of daily living (ADLS): transportation, eating, toileting, bathing, dressing or taking medication (45.7%) (LA Health, 2010). Maintaining their own health status is a primary concern amongst informal caregivers. 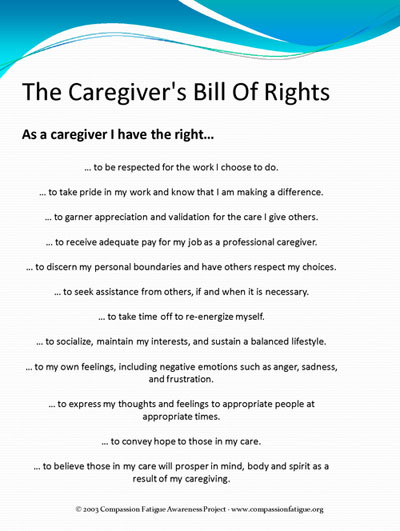 Often referred to as the “Caregiver Burden”, adult informal caregivers are highly susceptible to a state of physical, mental and emotional exhaustion due to the intense demands of caregiving. This is due to the fact that caregivers have a hard time recognizing their own needs and seeking help for their own exhaustion and frustration, which in turn puts more strain on their health (LA Health, 2010). The National Family Caregiver’s (NFC) association reports similar findings from their own surveys of family caregivers. The NFC also reports that 3 out of 4 caregivers report they do not go to their own doctor as often as they should, and over half of caregivers admit to skipping doctor’s appointments for themselves. NFC also found that 6 out of 10 caregivers describe that their own eating and exercise habits become significantly worse after they began caregiving. Over half of family caregivers exhibit clinically significant symptoms of depression, and many of them meet the diagnostic criteria for major depression. One of the most significant findings is that studies have shown that the constant stress combined with the lack of self-care caregivers experience can cause premature aging, often taking up to ten years off their life (NFC, 2011). 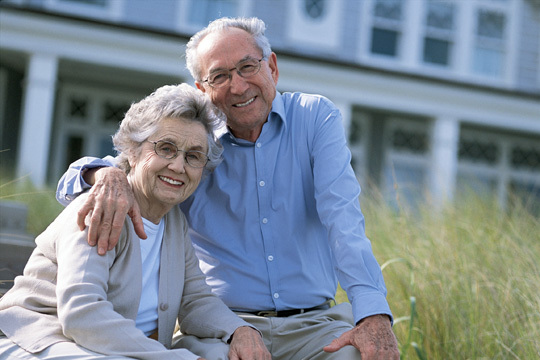 Spousal caregivers are a subset of informal caregivers who are caring for a spouse or partner. They have a complex set of emotional issues that need to be addressed in addition to the physical health concerns. As mentioned previously, an important component of long term caregiving is called “self-identification”, where the caregiver realizes and adjusts to their new role. A spousal caregiver and President/CEO of the National Family Caregivers Association, Suzanne Mintz discusses her own self-realization. “By identifying ourselves as family caregivers, we are in a position to fight for our rights, to begin to change the way society regards us, to start feeling better about our situation because we are identifying it for what it is-a painful job that we are so often asked to do alone, regardless of physical, emotional and financial costs. For too many years I did not have a name for what had happened to my life when my husband Steven was diagnosed with Multiple Sclerosis. For too many years I was angry and unable to be comfortable with myself.” (Mintz, 2010). Richard Anderson, past President of the Well Spouse Association, sums up the needs of spousal caregivers by quoting the motto of Well Spouse, “When one is sick, two need help.” His experience as a spousal caregiver is typical of other long term spousal caregivers (Well Spouse, 2010). “My story, like that of so many spousal caregivers can be summed up by a mantra I adopted: WIT: Whatever it Takes –i.e. resilience in the face of many difficulties. Married to Vivienne for 31 years, I was her caregiver for 29 years. In the first decade she had many symptoms of a baffling illness that was finally diagnosed in 1985 as an auto-immune disorder, scleroderma, in a rare form that affects the internal organs. She died in 2004, only 1½ years after a diagnosis of liver cancer. Although some estimate that 80% of marriages in which one partner receives a diagnosis of chronic illness and/or disability break up, ours did not. She loved me and I loved her and remained committed the whole way through. But it got harder and harder. Change was a constant in our lives, mostly from her illness, and fatigue and other symptoms can strip the intimacy from a marriage, and turn it into more of a parent-child relationship. I felt increasingly alone, I had the feeling that so many caregivers have, that no one understands their situation. Self-identification — recognizing that one is a caregiver — and reaching out for help are difficult for many caregivers. Men take longer than women to do both. And of all family caregivers, spousal caregivers take the longest – due to the more intense nature of the intimacy relationship.” (Anderson, 2009). Anderson speaks very eloquently on the self-identification problem, often referring to it as the “Keep it all Going, Superman” syndrome. “Of all family caregivers, spousal caregivers are the last ones to recognize that they actually are doing caregiving. They can go on an incredibly long time picking up the pieces of the household tasks: cleaning, cooking, finances, shopping, as well as helping the ill partner in bouts of illness, or taking them to and from doctor’s appointments and hospital visits… and all this while holding down a full-time job, and sometimes moonlighting at another one as well to keep the finances from totally dwindling. But no, they don’t even consider they are caregivers. They are doing it out of love or duty, and somewhere along the line they lose themselves, and become absorbed by the battle against their spouse’s illness. This is the Superman complex and inevitably, it leads to a crisis point and burnout or even breakdown for the caregiver.” (Anderson, 2009). Anderson also writes at length about what differentiates a spousal caregiver from other family caregivers. He identifies several key areas of concern. First of all, spousal caregiving comes from a starting point of great intimacy, and it usually involves a loss of that very intimacy. “This is probably the sine qua non of the spousal caregiver relationship. No other caregiver – whether of a parent, a child, a friend, a sibling or other further removed relationships starts out with the close intimacy that a couple has, right from the start. And for spousal caregivers and their ill husbands, wives or partners, the almost universal experience is a loss of intimacy in the relationship. Whether they take note of it, or repress or deny it, this adds another layer of stress, from grieving the loss of the close relationship.” (Anderson, 2009). Another major difference identified by Anderson is the financial impact that spousal caregiving brings. Most family caregivers live in two-income families, but for the spousal caregiver the norm is one income. Major out of pocket expenses for uncovered medical costs are also more common (Anderson, 2009). Not all spousal caregivers work through a long period of adjustment followed by a more stable ‘self-realized’ role that lasts for years. Many spousal caregivers are caring for a person who has no hope of recovery from illness or even the possibility of anything but a steady decline in health, leading to a shift from home care to palliative care and home hospice, followed by death. Since a spousal caregiver is taking care of their partner in life, it often becomes an intimate involvement in the end of the life of that most meaningful person in their life as well. The New England Journal of Medicine reports that there is a significant increase in death rates for spouses when their partner is hospitalized for a serious illness. More importantly for spousal caregivers, there is an even more significant increase in surviving spousal death rates that occurs after illness causes the death of their spouse (Allison and Christakis, 2006). Compassion fatigue is a new term used to describe the secondary traumatic stress disorder experienced by many spousal caregivers. 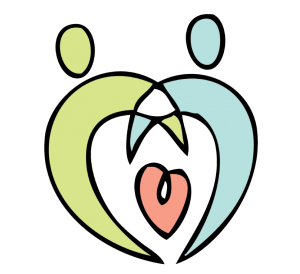 The Compassion Fatigue Awareness Project (CFAP) is an excellent resource for spousal caregivers. They are working to raise caregiver awareness of the possible impacts that caring for a loved one can have on the caregiver. They define the signs of Compassion Fatigue clearly. The successful support of spousal caregivers can be broken down into several layers. Starting with individual action, it is important for spousal caregivers to feel as if they are not doing this alone. They often feel guilty about asking others for help. They often feel a need to keep their own pain to themselves, redirecting sympathy and concern to their spouse. Friends and family can help them with the process of self-realization by encouraging them to discuss it and helping them maintain their own physical and mental health. Simply being there when the spousal caregiver needs someone to talk too, or offering them a ride to a doctor’s appointment of their own, can make all the difference (LA Health, 2009). Anderson feels that it is also the responsibility of those who have been spousal caregivers to explain this to others. “Keeping it in the marriage, not talking, not realizing they are caregivers and need to take care of their own spiritual health… is it any wonder that spousal caregivers are under-recognized? A familiar complaint is, many people ask the caregiver ‘how is the ill spouse?’, but don’t ask how the caregiver is. ‘Is he/she better yet?’ is the cry from some, which shows a refusal to acknowledge the ever-presence of chronic illness. So, we need to come out of the closet, so to speak, tell friends, family, and workmates of what our needs as a caregiver are, so that they will know better how they can help.. And yes, there are a lot of good people about, who are willing to help. They just need to learn about the need, and then be asked!” (Anderson, 2009). Government agencies, community-based organizations and employers can help ease the burden of spousal caregiving as well. They can help by actively educating the public concerning the health and financial consequences, and by increasing the availability of support and education programs. Health officials can develop care interventions designed to identify caregivers as patients, determine their specific needs and connect them with the support services they need. Health professionals can participate actively in efforts to raise awareness of the importance of identifying the signs of depression and psychological distress in spousal caregivers who are their patients, and to ensure they have access to mental health services (LA Health, 2009). At the highest level, policy makers across the U.S. need to recognize both the financial burden and the emotional stresses that are placed on spousal caregivers. Employer policies that allow for flexible work and telecommuting options for spousal caregivers can be a great help. Tax credits for employers who provide job protection for workers who leave the workforce to become spousal caregivers can give them something to return to. The Family Medical Leave Act should be expanded to include domestic partnerships. Medicare and Medicaid should provide reimbursement for providers of spousal caregiver respite services (LA Health, 2009). As the population of this country continues to age and life expectancies continue to increase, the need for spousal caregivers increases accordingly. Local, state and federal government can recognize and support the immense contribution of spousal caregivers by following the strategies recommended here. Community health organizations can help by placing an emphasis on the health of spousal caregivers as patients themselves. Most importantly, friends and family can make sure that spousal caregivers do not feel alone. Communities, friends and families simply need to remember that “When one is sick, two need help.” (Wellspouse, 2010). Next ›If God Had Facebook.